India opposes the initiative because the China Pakistan Economic Corridor, a part of the BRI, runs through Pakistan Occupied Kashmir. NEW DELHI: India was the only country of the eight-member Shanghai Cooperation Organisation which did not endorse China's Belt and Road Initiative at the Shanghai Cooperation Organisation (SCO) Foreign Ministers' meeting which concluded in Beijing Tuesday. "The foreign ministers of Kazakhstan, Kyrgyzstan, Pakistan, Russia, Tajikistan and Uzbekistan reiterated their support for the 'Belt and Road Initiative' proposed by China," said a section of the joint statement issued by SCO Foreign Ministers at the end of their one-day meeting. The statement says the ministers discussed important issues and studied agendas for the SCO summit that will be held in June in Qingdao, China. They also expressed deep concern about the military strikes that the United States, Britain and France carried out against chemical weapons facilities in Syria, and warned against using political and economic pressure through unilateral sanctions. Earlier, External Affairs Minister Sushma Swaraj and Defence Minister Nirmala Sitharaman launched scathing attacks on terrorism at the parallel meetings of the SCO. 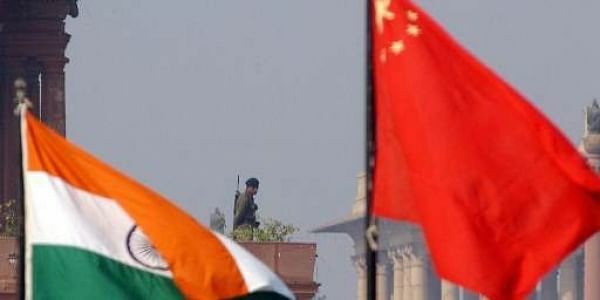 While an Indian official admitted that some of these attacks "were probably also meant for the domestic Indian audience," he said it would also "save Prime Minister Modi the trouble of explaining the same issue to Xi during their meeting later in the week." The two ministers, attending the foreign and defence ministers meetings which precede the annual summit of the SCO, urged member states to act in unison against terror, and to " work actively with India towards a partnership of peace and shared prosperity." "There are a number of challenges that are being faced by the world today, foremost being the threat of global terrorism and the imminent need to build a strong security architecture to combat it. Terrorism is an enemy of the basic human rights: of life, peace and prosperity," Swaraj told the SCO foreign ministers. In an obvious reference to Pakistan, she said it was critical to realize that the fight is not just to eliminate terrorism but to take strong action against states that encourage, support and finance terrorism and provide sanctuary to terrorists and terror groups. She left soon afterwards for Mongolia, but is expected to return to China to join Prime Minister Modi during his "informal" summit with President Xi Jinping in Wuhan later this week. Nirmala Sitharaman was even more direct. "Arguments of political convenience to provide an alibi for terrorist organisations that support terrorism through material support or otherwise are no longer tolerable," she told SCO defence ministers. China has repeatedly blocked India's attempt to get Pakistani Masood Azhar, head of the terror outfit Jaish-e-Mohammad, branded a terrorist by the UN. "A young and dynamic India, with an economy growing at 7-8% per year, joins the SCO, seeking to usher in a new phase of cooperation," Sitharaman said, adding that India would take part in "Peace Mission", the joint military exercise being organised by SCO in Russia later this year.